Many of you may know me under the name Yun. I was the head admin past Zaku-dono era (mikudb.com) and was responsible for mikudb.moe (current version). Just like he once ended and passed the torch to me, it is now my time to pass the torch again to a new head admin – Kyrozen. I am currently 26 years old and sadly I have no longer enough time to work on MikuDB. I guess there are maybe more reasons, but lack of time was the main reason. I am sure many of you also are interested in the story why MikuDB was offline for over a year and what happened with the new MikuDB that you got so many times promised. While I can’t promise you the whole story, I will try my best to not leave out the most important things, but as time went, I might forget certain unimportant things. First of all, I also want to admit, that failing to deliver you all the new version of MikuDB is one of my biggest disappointments and I will never forget how I failed. The Head admin shuffle was predetermined even before, my plan was to retire along with the launch of new MikuDB. And yeah, here is the story like I promised. Please bear in mind I will leave out names and certain plot, because I still value the person and I dont want to start any witch hunt or hate adressed to anybody. Due to lack of time I could dedicate to MikuDB and serious issues happening in my real life, I could not supervise the project as before. Therefore I have created Sections (Album section, Article section, Community section, IT section) and split the workflow to 4 Head Admins. To assure I still will not lose insight, I appointed Tsuyori as my secretary. She technically was communicating across the sections, learning how they work. My job was to do future planning and controling, while tsuyori was giving me reports. It was during this time the staff team reached a boom, content kept flowing and so were staff members. We started to reach the count of 30 staff members. As time went and Tsuyori started to be busy with her real life, I started to lose control even more. During this time one more important thing happened- I entrusted the domain and the hosting to the IT section and therefore lost control of everything including the domain and development of website. The people there were awesome as they offered to pay the servers and I need to say again, thank you so much for doing it for months. That helped me alot since till now I was paying the hosting and domain alone and with the help of donations (Until some one reported our paypal for pyramid scheming and hazard and I got my paypal blocked with all the money we had there… Well I managed to get it back by signing another contract with Paypal and cleaning my name, but the money was lost forever). Please take note up till then, the website never used any kind of ads. One day however, our website got hacked and albums started to vanish. We managed to restore the backup. But certain part of the website was really old and since I stopped the maintenance of the code and updates, it was vulnerable and could be hacked again. Therefore the Tech admins had to somehow delete the vulnerable parts and turned off everything that was doing automatic maintenance, including backups scripts, auto delete spam and spam registrations. This caused the database to be so big that it kept crashing. The server simply couldnt handle it and as it was so bloated, activating the scripts resulted in server crashing as there was simply too much entries. That resulted the website being slow and the team couldnt access the admin area to upload or edit posts. When I came back to check, it was totally a mess and I couldnt even anymore orientate myself in the code since everything was changed. Therefore I came up with an idea and that was we would create a brand new website and simply then import the old entries. Unfortunately, the tech section became busy with their own stuff and the development slowed down. While I was checking on the status every week, when deadlines came, nothing was finished. This dragged for months until I said stop. I took back the domain and hosting was handled by Kyrozen. This was the time were I felt MikuDB is back in the right hands and we can start working again on an emergency plan- New mikudb version or the old website with limited features, cleansed from the bloat. I wanted to really entrust the new mikudb to new head admin and get piece of mind believing nothing can go wrong. With the new emergency plans, I managed to find a developer and explain him everything what was happening. He agreed to help and was working insanely fast. Everything was working so well and we finally after few months had even a working test unit. You can access it here and take a look for yourself. Simply login and press refresh on your browser. You should see the system being finished 90%. Everything was looking well and I was satisfied with the development. That was the time when the new website was made and we were close to asking for donations for the devs. But because I was still unsure what can go wrong and accepting donations would be a heavy burden, I postponed the donations until I see the website working entirely. And then on a fateful day, the developer stopped communicating and vanished without a trace. This was the time I realised everything was in vain and started to reach to a new dev with an easier task- Help me restore the old theme and I will fix the database. We lost complete access to the repo and so yeah… It is lost and if the person one day answers back is not something I want to gamble on. While I feel burnt out from all the problems and wish things never happened this wrong, I also take blame for it for letting it happen. I need to first take care of real life things (new job, relationship and so on) and especially get new energy and motivation to fix the damage that was done. I might be back one day and start again developing a new MikuDB. This time however, alone with my own hands not depending on anybody anymore. Hopefully a day like that will come or the next head admins will be able to do it. Until then, I will entrust the running and future planning to Kyrozen. She is a very capable person and I am sure it is in the right hands. As for me, I will personally fix what will be needed time to time and help out with recommendations if needed. Consider me more of a lurker in the shadows and feel free to @ on discord and say hi to me! 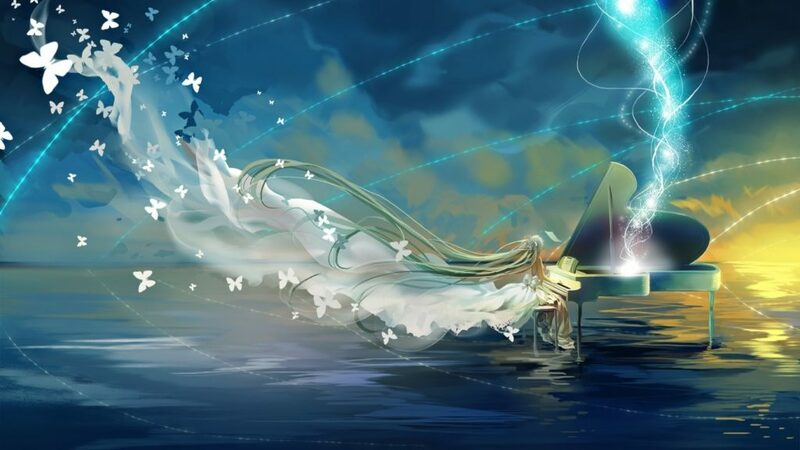 As for what is my current authority over MikuDB i will be honest- I will act only as a security measure, in case users will be not satisfied and will only step in if the situation is needed and for some reason the team or head admins didn’t work to your satisfactory. I hope however a situation like that will not likely happen as I believe I chose my successor well. This safety measure also helps that mikudb will never fall into anybody who is greedy and just want to take the domain and sell it (Like it happened with mikudb.com). Consider myself as a shadow of the past and please give all the attention to Kyrozen as she deserves it for everything she ever did for the project. Even before she became a head admin, she was a very active visitor and actively joined discussions. Once she joined the team as a regular staff member of album section, it didn’t take long and she became the head admin of Album section. I would like to thank everyone who kept supporting me. I will treasure the years I have spent working on mikudb. Starting MikuDB.moe was really enjoyable. Thank you guys. Yeah noticed, created a new one. Thank you so much for your job!!! now i understand why. I’m glad that this site is alive again. I love you guys Yun, Zaku and Kyrozen and supporters. All these vocaloid albums are free. There is no such website better and generous than MikuDB.moe. Thank you, wish you all the best on your goals!!! By the way,I am Gem, 21, from Ulan Bator, Mongolia. Nice to meet you!